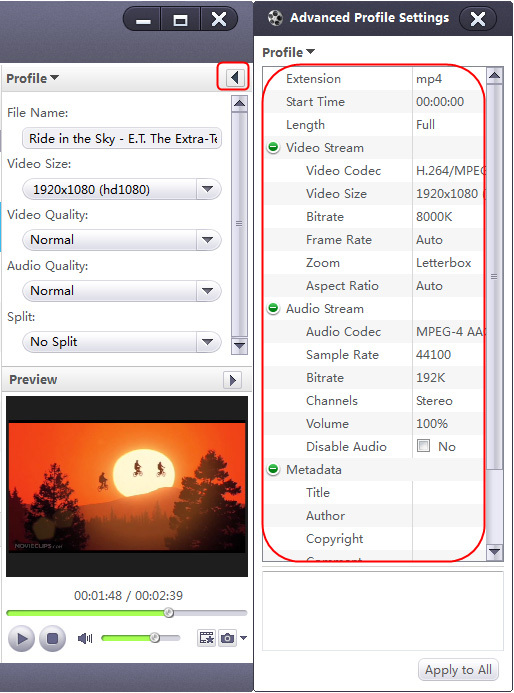 How to convert HD (High-definition) video files, convert among HD videos or convert HD videos to SD video, using Xilisoft HD video converter? The following will show you a step by step guide to complete the conversion task. 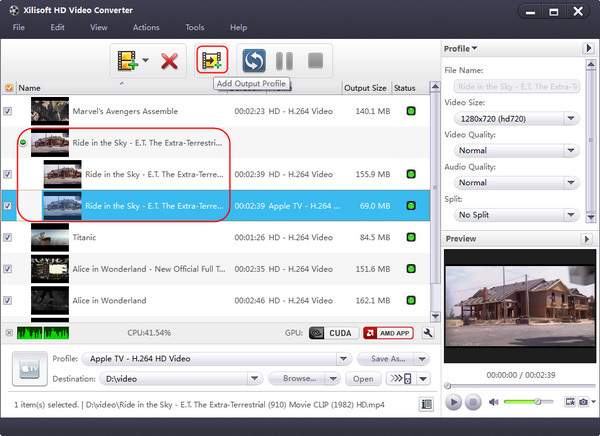 First, Download, install and run Xilisoft HD Video Converter. Click "Add File(s)" drop-down button on the toolbar, and click "Add File(s)..." option from the drop-down list, then choose video, audio or picture files you want in the dialog that opens. The loaded files will be displayed in the file list. Xilisoft HD Video Converter supports the most popular HD video formats and general video formats including AVCHD (mts, m2ts), MKV, HD ASF, HD AVI, H.264/AVC, HD Quick Time, HD MPEG-4, HD WMV, AVI, MPEG, WMV, MP4, 3GP, FLV, RM, MOV and so on. 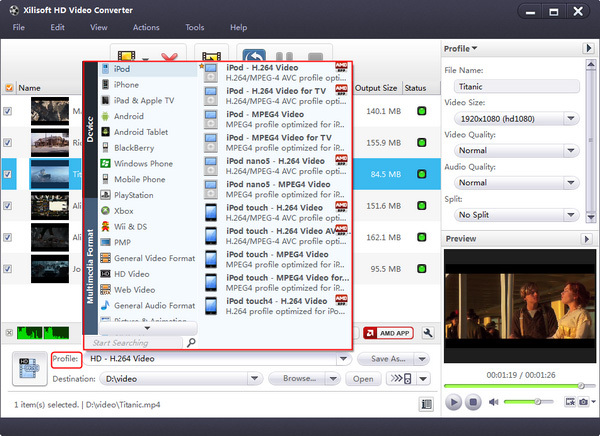 Video conversion between these formats are well supported. Or click "Add Folder..." option from the "Add File(s)" drop-down list, and choose a folder you want, then load all the files in this folder into the file list. Tip: You can also add files into the file list by clicking "File > Add File(s)..." or "Add Folder..." option in the main menu and choosing the files or folder you want in the dialog that opens. Choose one or more files in the file list, and click to open "Profile" drop-down list, then choose the profile you want from the classified profile list. (1) If you're not satisfied with the default profile parameter settings, you can adjust them in the right profile settings panel. 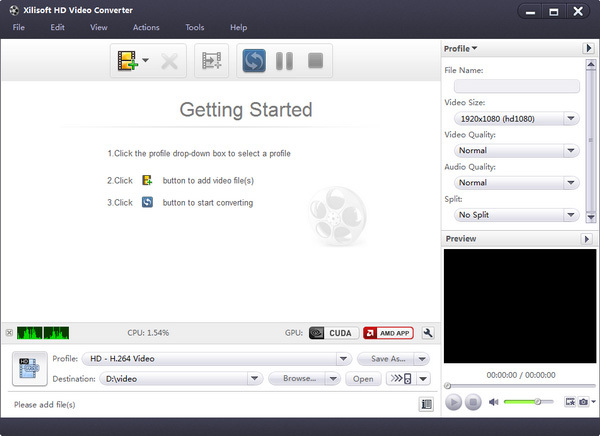 Click the drop-down button on the panel, and choose "Basic Settings", "Video Codec", "Audio Codec", "Picture Codec", "Metadata" option to enter corresponding panel for parameter adjustment. (2) You can search for the profile you want quickly by entering the profile keyword in the Keyword textbox of the profile list. Click "Browse..." drop-down button in the settings panel, choose "Browse..." option, then choose the destination folder for saving output files in the dialog that opens, and click "OK" button to return to the main window. After the above settings, check the files that needed to convert in the file list, and click "Convert Checked Item(s)" button on the toolbar to start converting. You can check the progress from the progress bar at the bottom of the main window. Tip: you can click "Pause Checked Item(s)" or "Stop Checked Item(s)" button to suspend or stop the conversion according to your own need anytime during conversion. 1. Choose a file in the file list. 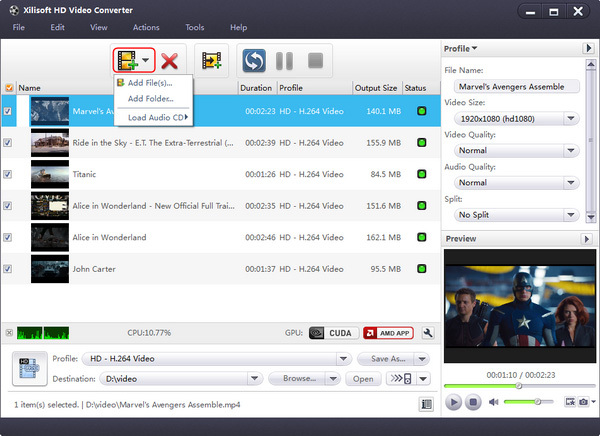 The program provides you with a Bitrate Calculator tool to customize output file size. 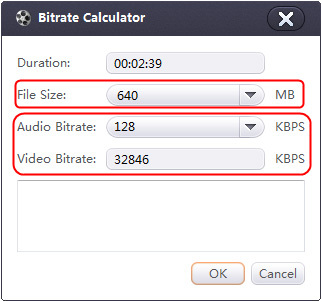 Click "Tools > Bitrate Calculator" option in the main menu to open "Bitrate Calculator" dialog, choose the output file size you want or directly enter a value in the "File Size" textbox, and choose the audio bit rate you want, then the video bit rate will be changed with the file size and audio bit rate you set. Click "OK" button to return to the main window, then the computed bit rate will be displayed in the parameter settings, and the output file size you set will be displayed in the "Output Size" column of the file list. 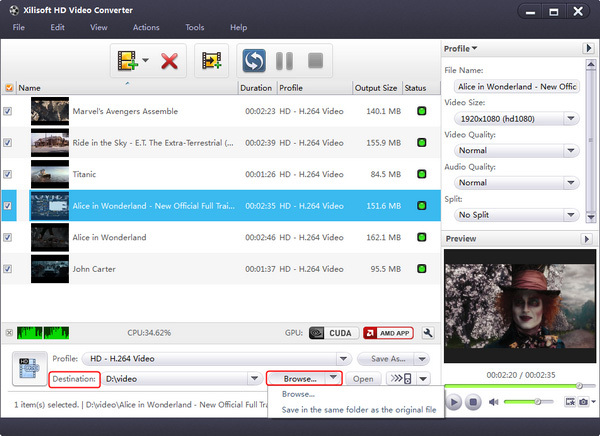 The program allows you to clone any file in the file list, to get a file with the same properties with the source file. Choose one or more files in the file list, and click "Edit > Clone" option in the main menu, then the program will clone all the selected files and list them below the source files.